Franklin Circuit Court Judge Philip Shepherd ruled in June that Republican lawmakers had violated the state Constitution by inserting pension language into a bill that originally dealt with wastewater and rushing it through the legislature in one day. Bevin’s general counsel Steve Pitt issued a statement on Friday, saying that the changes are legal and necessary to keep the systems solvent. “Our pension system is already dangerously close to collapsing. Without the reforms in SB 151, the system will continue to decline and remain the worst funded in the nation,” Pitt wrote. Kentucky has some of the worst-funded retirement systems in the nation, and has had to put more and more money towards pensions as the result of years of lackluster performance, under-funding and overly-optimistic projections. 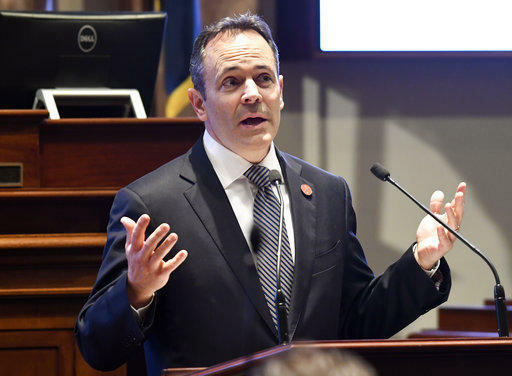 Republican leaders of the legislature and Bevin have argued that the state has to change pension benefits for state worker in order to keep the retirement systems afloat. The pension bill that passed out of the legislature earlier this year amid massive protests from teachers and other state workers mostly affects future state employees, but also tweaks benefits for some current workers. Bevin’s political rival, Democratic Attorney General Andy Beshear, sued to block the changes from going into effect. On Friday he released a statement saying the appeal creates anxiety for state workers. “Our public servants and their families deserve a quick and final decision that protects the retirements they were promised. We are requesting the case go directly to the Supreme Court of Kentucky and be argued as quickly as possible,” Beshear wrote. Beshear argues the changes violate the “inviolable contract” — a provision that protects state workers’ benefits from being tinkered with after they’ve been hired. But Franklin Circuit Court Judge Philip Shepherd never weighed in on the contents of the pension bill in his original ruling, ruling that the bill was unconstitutional because lawmakers hadn’t followed proper procedure. The blocked pension law would change how current workers can use saved-up sick days to qualify for retirement and require employees hired between 2003 and 2008 to pay one percent of their salaries for retiree health insurance. Last month, Beshear announced he’s running for governor in 2019. Bevin has not announced whether he intends to seek reelection. 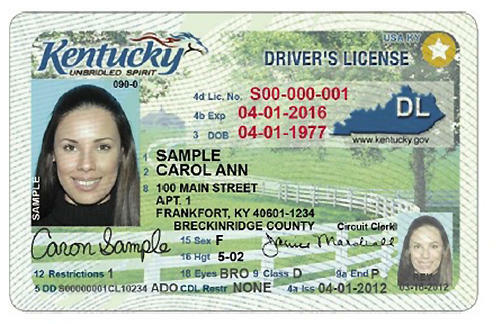 Kentuckians will have a new option the next time they go to get their driver's licenses renewed. The state announced Monday how it plans to follow the federal Real ID act of 2005, which Congress passed in the wake of the September 11 terrorist attacks.